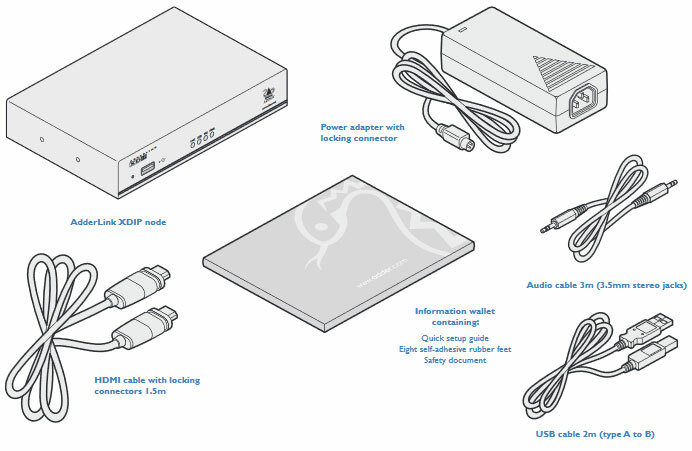 The Adder XDIP-PSU is a fanless, small form factor, HDMI, USB and Audio Extender, KVM Switch or Matrix - Single Node with External PSU (no PoE). 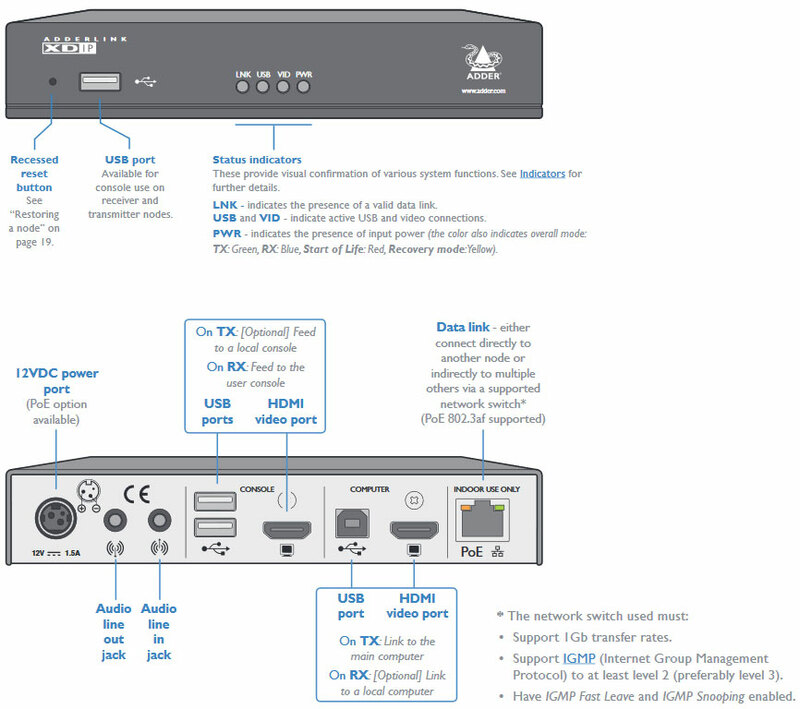 The Adder ADDERLink XDIP is a compact, easy to install, fanless KVM (Keyboard, Video, Mouse) matrix solution that runs on a standard IP network and enables users to extend and manage their computers with ultra-low latency, HD video and stereo audio away from the user work station, whilst maintaining the original user desktop experience. The XDIP is scalable, from simple extension to small matrix. It is very well suited to small and medium sized installations. 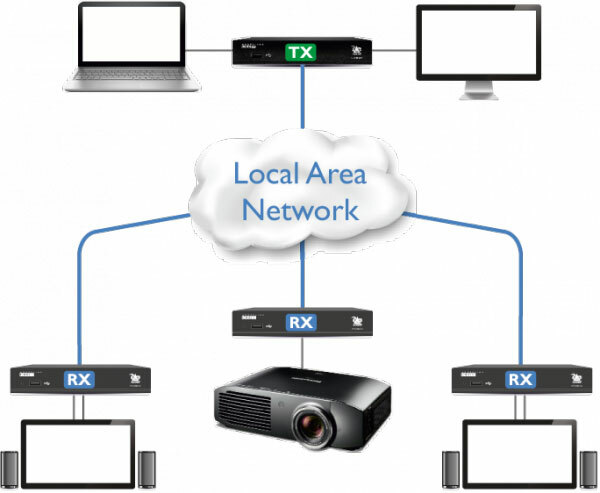 XDIP implements low latency, high quality, 60Hz video compression to deliver an "at the computer" user experience over a standard Gigabit LAN. Every frame is sent with a minimal latency of 24ms (1� frames at 60Hz). 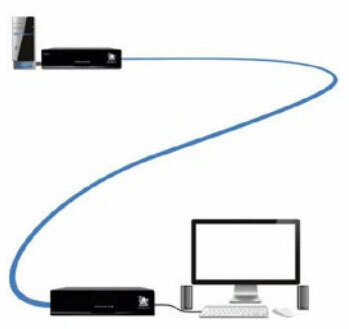 Video, USB2.0 and audio all pass along a single minimum spec of CAT5e cable allowing use of existing infrastructure cables in the building. Distance is linked to the IP standard of 100m runs with a 40% overhead for safety. 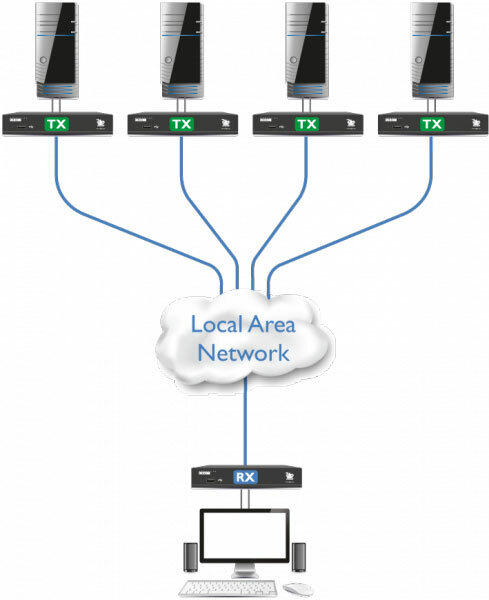 Longer distances are achieved by routing through your IP infrastructure. 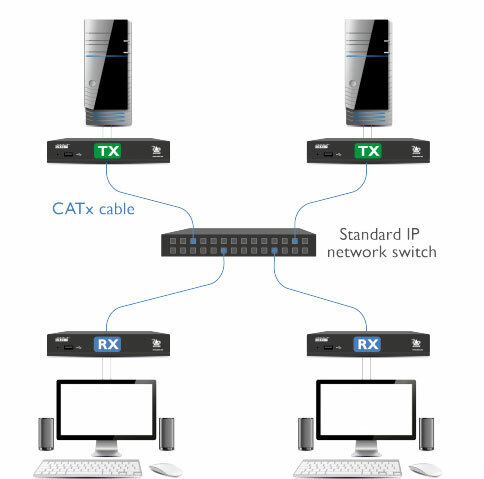 The extender has an intelligent EDID management to allow the true characteristics of the monitor to be passed back to the computer or alternatively, a fixed EDID can be specified. 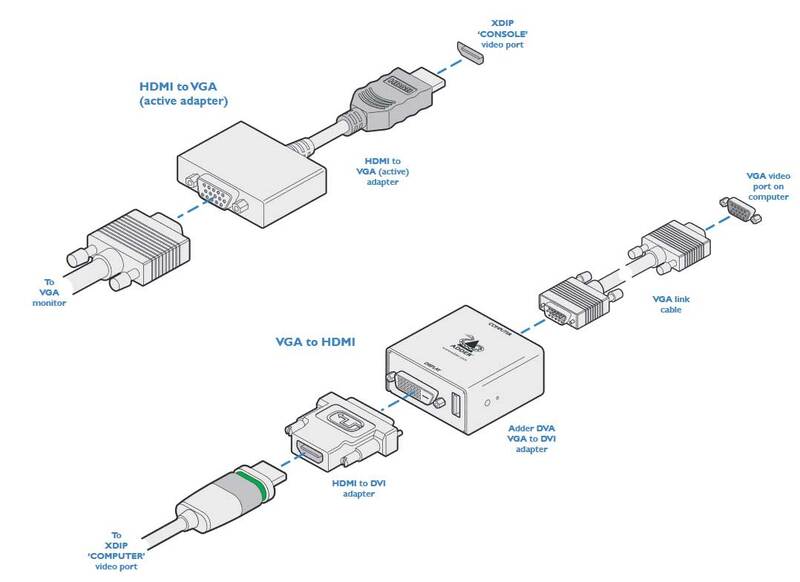 The AdderLink XDIP extender is delivered in a zero config state so you can plug the units in and start working with them straight away. Theres no need for drivers or software to be installed. A simple wizard takes you through setup at the start of life of the product. 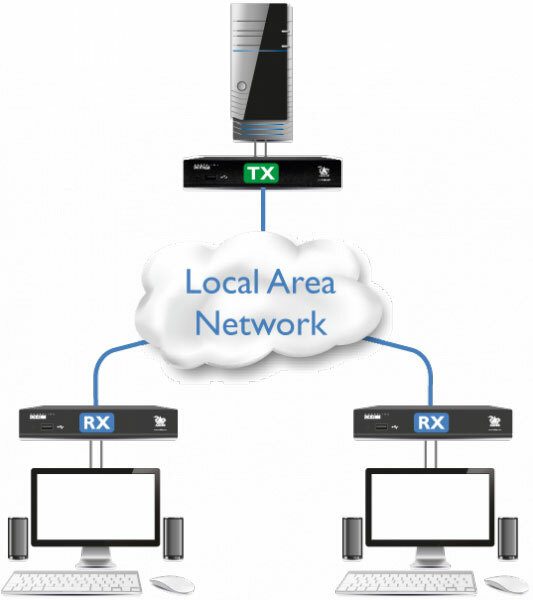 The unit delivers CD-quality stereo audio (16-bit sampling at 48kHz) is available to transfer audio between local and remote. Headphones are also supported (up to 32 Ohms impedance). 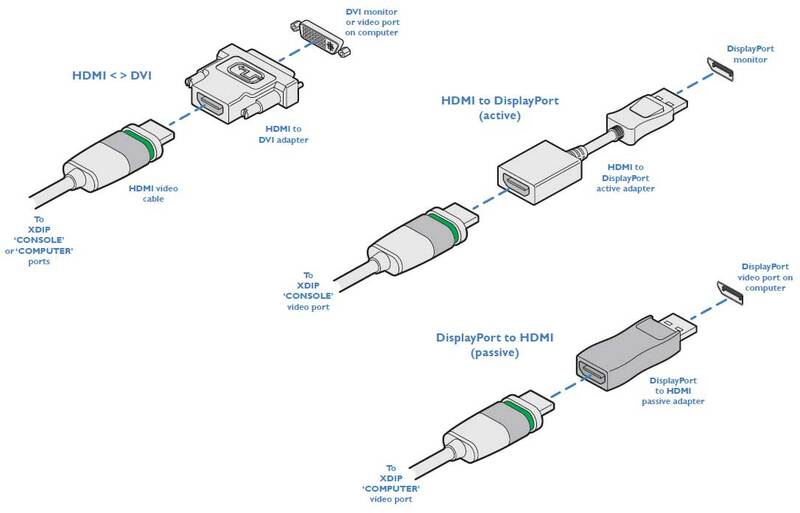 One of the many advantages offered by the HDMI (High Definition Multimedia Interface) standard is the ease with which it can be converted into- and out of- numerous other video formats, including single link DVI-D, DisplayPort and VGA. Compact case, robust metal construction.